The Annual Installation Dinner was held on January 13 at the Marcy Tavern with Ray Durso Jr., Executive Director of The Genesis Group as our guest speaker. Mr. Durso presentation focused on the regional economic, social, and cultural opportunities being implemented to help transform the Central New York Region creating stronger business and community. Thank you to everyone who attended. We appreciate all of our Chamber Members continued support. 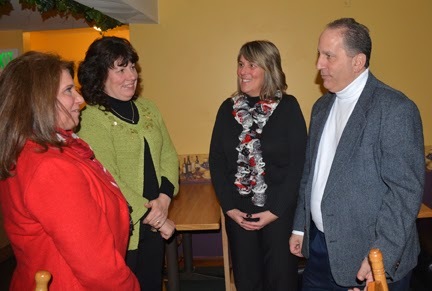 Ray Durso (right), speaks with members of the Marcy Chamber of Commerce.